As a vinyl decking specialist and authorized dealer and installer of Tufdek™ vinyl decking in Edmonton, we are the ones to call when it comes to quality workmanship and the most competitive factory warranties. 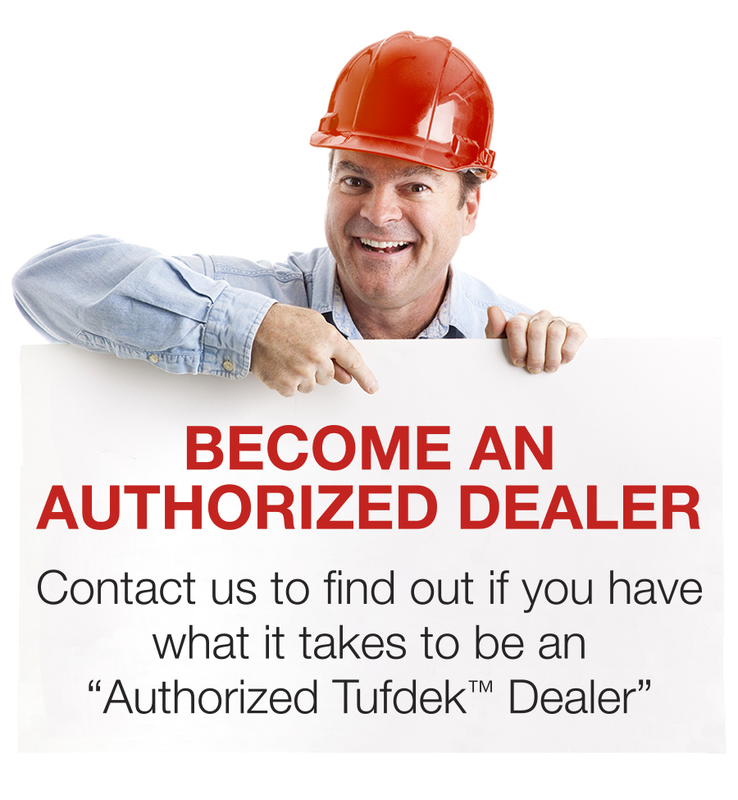 Our customers throughout Edmonton and the surrounding areas have come to rely on the Tufdek™ brand for many years now. This completely integrated deck waterproofing installation system is manufactured in North America and comes with a written warranty covering both labor and materials. In fact, the warranty is one of the best in the industry. Once installed, the 25-year proven PVC formula creates a 100% waterproof surface and becomes an attractive feature of your home’s patio, deck, balcony, pool deck, or any other outdoor walking surface, adding value to your property. Our reputable decking company has an A+ rating with the Better Business Bureau and would be happy to show you pictures of previous vinyl decking projects completed in the Edmonton area. When compared to your other vinyl decking membrane options, Tufdek™ is the most affordable deck waterproofing system year over year. For more information about how Tufdek™ can help you save money in the long run, or to get a no-obligation vinyl decking installation quote from our decking company, please call our Tufdek office toll free at 1-877-860-9333 or complete the following online contact form.